این مسئله که آیا توسعه تأثیری بر دموکراسی دارد یکی از مباحث بحث برانگیز سال‌های اخیر بوده است. ما دراین مقاله با استفاده از روش تحلیل مقایسه‌ای به بررسی و نقد نظر موافقان و مخالفان تأثیر توسعه بر دموکراسی می‌پردازیم و تمرکز خود را بر مباحث اخیر آسم اوغلو و همکارانش و انگلهارات و ولزل متمرکز می‌نماییم که دو نظر متضاد در این باره ارائه نموده‌اند. در این مقاله ما بر مفهوم دموکراسی کارآمد که در آن به حق انتخاب مستقل واقعی و پیروی عملی نخبگان از هنجارهای قانونی یا همان درستکاری نخبگان توجه می‌شود در برابر دموکراسی انتخاباتی که تنها معیار آن برگزاری انتخابات است، تأکید می‌کنیم. بررسی ما نشان می‌دهد که مفهوم دموکراسی کارآمد می‌تواند به بسیاری از اختلاف نظرها در این زمینه پایان دهد و دستیابی به آن نیازمند دستیابی به یک سطح حداقلی از توسعه است. بنابراین یافته‌های ما این نظریه آسم اوغلو و همکارانش و همچنین سایر نظریه‌پردازانی که معتقد هستند توسعه بر پدید آمدن دموکراسی تأثیر ندارد را رد می‌کند اما در عین حال باید گفت برخلاف نظریه انگلهارات و ولزل رابطه میان توسعه و دموکراسی خطی نیست و همچنان مسائل حل‌نشده فراوانی در این زمینه وجود دارد. In recent years many scholars have discussed the impact of development on democracy. In this article, by using a comparative study approach, we review the literature of the effect of development on democracy. We also, focus on recent debates, provided by Acemoglu (2001-2009) and his colleagues and Ingelhare and Welzel (2001-2009) who have offered two opposite views regarding the matter. Our aim is to compare the effective democracy with electoral democracy. While electoral democracy includes just the elections, Effective democracy includes genuine autonomous choice and the extent to which elites actually follow legal norms or elite integrity. This article shows that effective democracy will put an end to dispute about the effect of development on democracy and a minimum level of development is required for reaching to effective democracy. Therefore our findings theoretically reject Acemoglu and his colleagues’ view that development does not have any effect on democracy. Also, in this article it is shown that contrary to Ingelhare and Welzel’s theory there is not a linear relation between development and democracy and still many unsolved problems prevail. بشیریه، حسین؛ گذار به دموکراسی، مجموعه مقالات، نشرنگاه معاصر، چاپ دوم، 1384. پرزورسکی، آدام؛ الوارز، میشل ای؛ چیبوپ، خوزه آنتونیو؛ لیمونگی، فرناندو؛ دموکراسی و توسعه، ترجمه جعفر خیرخواهان، انتشارات سازمان مدیریت و برنامه‌ریزی، 1384. حسینی‌زاده، محمدعلی؛ اسلام سیاسی در ایران، انتشارات دانشگاه مفید، چاپ اول، 1386. دیاموند، لری؛ «آیا همه دنیا می‌تواند دموکراتیک شود»، چاپ شده در گذار به دموکراسی، مجموعه مقالات، نشرنگاه معاصر، چاپ دوم، 1384. سن، آمارتیا؛ توسعه به مثابه آزادی، ترجمه وحید محمودی، انتشارات دانشکده مدیریت دانشگاه تهران، 1382. 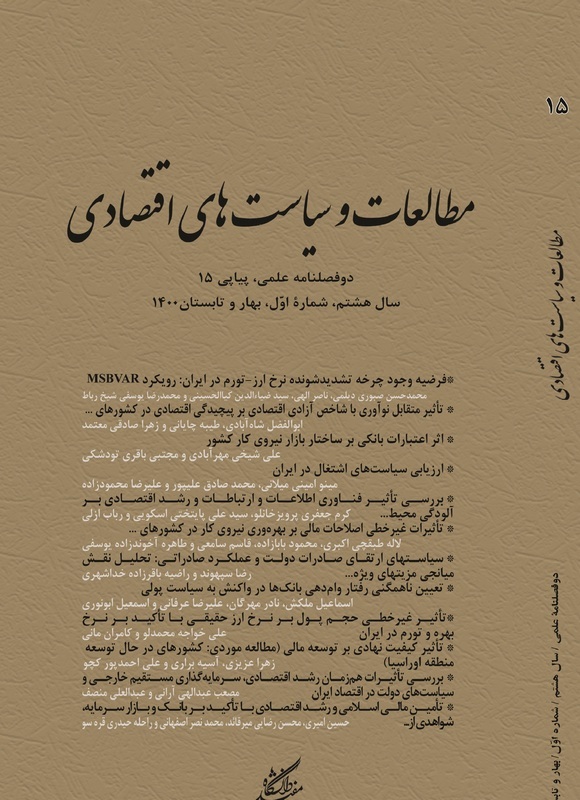 کدیور، محمد‌علی، گذار به دموکراسی، انتشارات گام نو، چاپ اول، 1386. ی سو، آلوین؛ تغییرات اجتماعی و توسعه، ترجمه محمود حبیبی مظاهری، انتشارات پژوهشکده راهبردی، چاپ دوم، 1380. عبادی، جعفر؛ «دموکراسی و توسعه اقتصادی»، چشم اندازهای دانش اقتصاد، 1386، شماره 1. هانتینگتون، ساموئل، موج سوم دموکراسی، ترجمه احمد شهسا، تهران، انتشارات روزنه، 1373. Acemoglu, D; Johnson, S; Robinson, J. A; "The Colonial Origins of Comparative Development: An Empirical Investigation", American Economic Review, Vol. 91, 2001. Acemoglu, D; Johnson, S; Robinson, J. A; Yared, P; "From Education to Democracy? ", The American Economic Review, Vol. 95, 2005, No. 2. ____________________ ; "Income and Democracy", American Economic Review,Vol. 98, 2008, No. 2. ____________________ ; "Reevaluating the Modernization Hypothesis", Journal of Monetary Economics, Vol. 56, 2009. Anand, Sudhir; Sen, Amartya; "Sustainable Human Development: Concepts and Priorities", UNDP, 1994. Barro, R; "Democracy and Growth", Journal of Economic Growth, Vol. 1, 1996. Boix, Carles;"Development and Democratization", Princeton University, Institut Barcelona d’Estudis Internacionals, Working Paper, 2009. Chabal, Patrick; "Book Reviews", International Afairs,Vol. 82, 2006, No. 3. Dahl, R; Shapiro, I; Cheibub, J. A; The Democracy Source Book, The MIT Press, 2003. Doorenspleet, Renske; "Development, Class and Democracy: Is There A Relationship? ", In: Development and Democracy: What have we Learned and How?, Edited by: Ole Elgstrom and Goran Hyden, Routledge, 2002. Faircloughf, Norman; Discourse In Processes of Social Change: Transition in central and East Europe, to appear in British and American Studies, 2006. Friedman, Milton; Capitalism and Freedom, Chicago: University of Chicago Press, 1962. Hadenius, Axel; "Transitions to Democracy, Pros and Cons of the Rustow-Lijphart Elite Approach", In: Development and Democracy: What Have we learned and how?, Edited by: Ole Elgstrom and Goran Hyden, Routledge, 2002. Hadiz, Vedi R; "Understanding Social Trajectories: Structure and Actor in the Democratization", Pacific Affairs, Vol. 81, 2009, No. 4. Higley, John; Burton, Michael G; "The Elite Variable in Democratic Transitions and Breakdowns", American Sociological Review, Vol. 54, 1989, No. 1. Hyden, Goran; Development and democracy: an overview, in: Development and Democracy: What have we learned and how?, Edited by: Ole Elgstrom and Goran Hyden, Routledge, 2002. Gundlach, Erich; Paldam, Martin; "A Farewell to Critical Junctures: Sorting Out Long-Run Causality of Income and Democracy", European Journal of Political Economy, vol. 25, 2009. Inglehart, Ronald, Welzel, Christian; Modernization, Cultural Change and Democracy, Cambridge University Press, 2005. ______________________________; "How Development Leads to Democracy? ", Foreign Affairs, Vol. 88, Iss. 2, 2009. Jurgensen, M & Philips; Discourse Analysis, London, Sage Publications, 2002. Karl, Terry Lynn; "Dilemmas of Democratization in Latin America", Comparative Politics, vol. 23, 1990, No. 1. Laclau, Ernesto & Mouffe, Chantal, Hegemony and socialist strategy, London, verso, 2000. Lipset, Seymour Martin; "Some Social Requisites of Democracy: Economic Development and Political Legitimacy", American Political Science Review 54, 1959. Marsh, Robert M; "Review Essay", Comparative Sociology, Vol. 5, issue 2-3, 2006. Malloy, James M, Seligson, Mitchell A; "The Politics of Transition in Latin America", in Authoritarians and Democrats: Regime Transition in Latin America, Edited by James M. Malloy and Mitchell A, Seligson. Pittsburgh: University of Pittsburgh Press, 1987. Moore, Barrington, Social Origin of Dictatorship and Democracy, Boston, 1966. North, Douglaas.C; The New Institutional Economics and Third World Development, Edited by J. Harriss, J.Hunter, International Ltd, 2000. 0-O’Donnell, G; Philippe C. S; Tentative Conclusions About Uncertain Democracies, In Guillermo O’Donnell, Philippe C. Schmitter, and Laurence Whitehead (eds. ), Transitions from Authoritarian Rule(vol. 4). Baltimore:Johns Hopkins University Press, 1986. Olson, M; "Dictatorship, democracy and development", American Political Science Review, 1993, No. 87(3). Shirley, Mary M; "Institutions and Development", in: Handbook of New Institutional Economics, Edited by: Claude Menarde, Mary M. Shirley, Springer, 2008. Williamson, Oliver; "The New Institutional Economics: Taking Stock, Looking Ahead", Journal of Economic literature, Vol. 38, 2000, No. 2. _______________ ; "The Institutions and Governance of Economic Development and Reform", World Bank Annual Conferene on Development Economics, 1994. Wejnert, Barbara; "Diffusion, Development, and Democracy", (1800-1999), American Sociological Review, Vol. 70, 2005, No. 1. Welzel, Christian; "Theories of Democratization" in: C. Harpfer, P. Bernhagen, R. Inglehart, C Welzel (eds. ), Democratization, Oxford University Press, 2009. Welzel, Christian; Inglehart, Ronald; Dieterklingeman, Hans; "Human Development as a General Theory of Social Change: A Multi-Level and Cross-Cultural Perspective", Berlin, Wissenschaftszentrum Berlin für Sozialforschung GmbH (WZB), 2001. ______________________________ ; "The Theory of Human Development: A Cross-Cultural Analysis", European Journal of Political Research, Vol. 42, 2003.